ERA™ is the most powerful full-spec, slim-form-factor Home Theater PC available. ERA has the size of a stand-alone Blu-ray player and endless functionality for the living room. It caters to audio and video enthusiasts, as well as high-end gamers. Due to its sleek, low-profile design, ultra-silent operation, and easy integration with other home theater components, the system blends perfectly into any existing living room setup. ERA™ represents a whole new generation of PCs – blurring the line between enthusiast desktop PCs, gaming consoles, and home entertainment devices. ERA™ is powerful enough to deliver up to Ultra HD resolutions in 60p, making it fully compatible with any 4K/UltraHD TVs. It features unrestricted compatibility with all high-res video file formats (.mts, .mkv, .avi, .mp4, etc.). Besides CD, DVD and 3D Blu-ray Disk playback, it effortlessly streams HD and/or 4K videos from online services such as YouTube, Twitch, Vine etc. It is ready for 4K Netflix , Hulu, and Prime streaming once available. An internal or external HD TV tuner works with satellite and Over-The-Air TV providers and lets one watch and record up in JRiver Media Center, MediaPortal or Kodi. Get rid of a redundant set-top box, remote control, and wires and enhance the functionality and aesthetics of your living room setup. Enjoy from the comfort of the living room an unequalled gaming experience in native 4K, Full HD, or 3D with ERA™. Stunning visual quality and mind blowing graphics at 60+ frames per second is achieved with latest generation GeForce RTX 20 series graphics cards with HDMI 2.0b connectivity, HDR10 and DirectX 12 support. Connected to a large screen (3D) TV or projector, and a surround sound system, ERA™ provides an overall gaming experience that no console can possibly compete with. 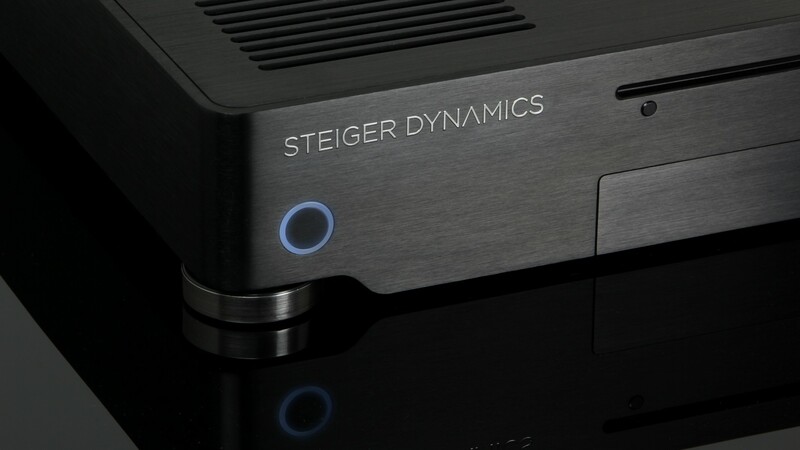 ERA™ delivers ultra-precise lossless sound via HDMI bitstreaming and supports all high-res sound codecs like Dolby® ATMOS, TrueHD, dts:X, dts-HD Master Audio™, providing the clearest sound for the truly discerning audiophile. The system features unrestricted compatibility with any audio file format (.mp3, .acc, .flac, .ogg, etc.). In addition to CD playback, it can stream music from one's preferred online source, like Spotify, Pandora, or Soundcloud. Microsoft® Windows® is the operating system of choice for living room computing. It runs the highest-performance games better than any other operating system, features easy-to-use apps, and handles all media formats. Only Windows and the PC platform is the common denominator of any exisiting streaming service and thus replaces all existing TV-sticks or boxes in one single and sleek unit. Optional Media Centers are a comfortable way of watching and recording TV and movies, listening to music, and managing all other media files. Control is completely in the hands of the user. Whether it's a smartphone or tablet, keyboard with touchpad, a programmable IR remote or mouse and keyboard, ERA™ is compatible with all of these options, and more. Additionally, you can play your games with Xbox controllers or any race and flight simulation gear.